The Hispanic/ Latino community is made up of people from many different nationalities and races, and educational and socioeconomic levels. The common threads for most are the Spanish language and cultural values. Many Hispanics/ Latinos rely on their extended family, community, traditional healers, and/ or churches for help during a health crisis. As a result, thousands of Hispanics/Latinos with mental illness often go without professional mental health treatment. Lack of access to mental health services continues to be one of the most serious problem in the Hispanic/ Latino community. Hispanic Americans use mental-health services far less than other ethnic and racial groups. They also constitute the largest group of uninsured in the U.S.—further limiting access to care. While insurance plays a large role in accessing healthcare, culture and language are also significant barriers. The lack of interpreters and bilingual professionals can interfere with appropriate evaluation, treatment, and emergency response. Hispanics/ Latinos often have different attitudes about accessing mental health services, and may feel highly stigmatized for doing so. For example, Hispanics/ Latinos often mistake depression for nervousness, tiredness, or even a physical ailment, and may see it as something that is temporary. Affected individuals may not recognize their symptoms as those that require the attention of mental health specialists. Studies have shown that older Hispanic adults and youth are especially vulnerable to the stresses of immigration and acculturation. Many older Hispanic Americans find the strain of acculturation overwhelming. Their traditional values and beliefs are often at odds with the new culture, they may lack family support and may face language barriers. Hispanic/ Latino youth also have been found to be at risk for higher levels of emotional distress because of the pressures to rapidly adopt the values of their new culture as well as inequality, poverty, and discrimination. Studies have found that Hispanic/ Latino youth suffer from many of the same emotional problems created by marginalization and discrimination, but without the secure identity and traditional values held by their parents. Each Mind Matters is the California’s Mental Health Movement that aims to reduce, and to improve the negative stigma of mental health. It serves to promote guidelines and resources to the community especially for youth, and young adult oriented communities. Their goal is to intensify the voices of those who suffer from a mental health disorder. Join the movement by checking out their website. Sonoma County Department of Health Services (DHS) has over 711 staff members that protect and provide a wide variety of health services including Behavioral Health. They continue to provide a wide range of programs and services designed to help, promote,develop, and sustain the health of our community peers and members. For more information on Behavioral Health check out their website. The San Francisco Suicide Prevention Organization aims to provide emotional support, education and information, assistance, and intervention to all persons in crisis, and those impacted with the goal of reducing suicides and self-destructive behaviors. They offer services for the youths, outreach in community, grief support, and groups for mental health professionals. 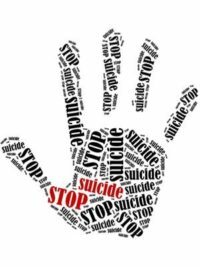 Suicide Prevention Life Line aims to reduce suicide rates considering that suicide is the second leading cause of death for young people between the ages 10 to 24. They try to reduce suicide rates and help those with mental disorders such as Schizophrenia, anxiety, personality disorders and many more by offering immediate counseling, crisis centers, and support groups. If you wish to read some personal stories of people that have suffered through mental health check out their website for information. National Alliance on Mental Health is one of the most experienced and largest organizations that are dedicated to bettering the lives of those who suffer with mental illness. NAMI aims to educate, advocate, listen, and lead for those who are in need of guidance with disorders. They offer information and educational services for Teen and Young adults especially because of the suicide rates between the ages of 14-24. 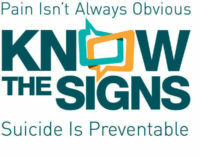 Know the Signs/ Reconzca las Senales focuses on educating Californias on how to detect the signs for suicides. They want to increase the knowledge of those who may or may not be affected by a mental illness. They offer local resources in English and Spanish. Tuck is a community devoted to improving sleep hygiene, health and wellness through the creation and dissemination of comprehensive, unbiased, free web-based resources. Tuck has been featured on HuffPost, NBC News, CNN, NPR, Lifehacker, and Radiolab and is referenced by many colleges/universities and sleep organizations across the web.